Lancelot Andrewes. Andrewes (1555-1626), linguist and bishop, was one of the chief translators of the King James Bible. Notice the little boy drawing in the foreground. 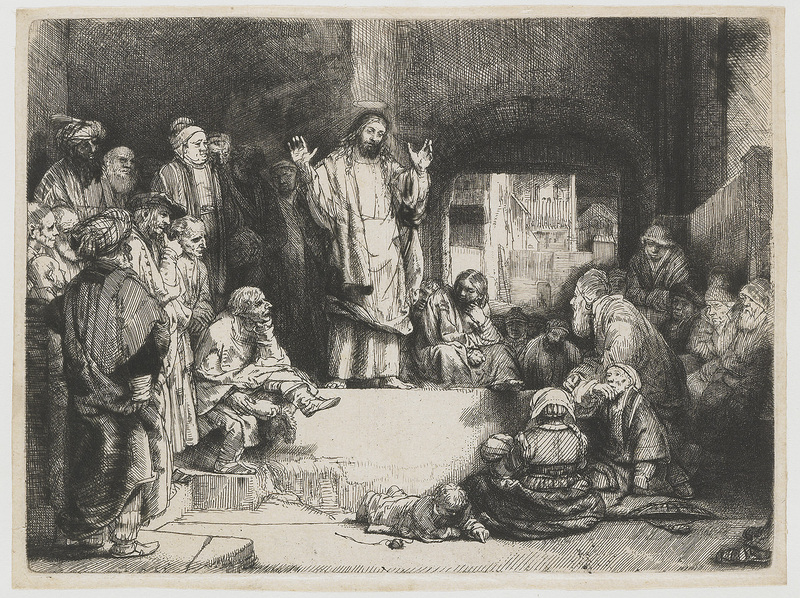 Rembrandt, “Christ Preaching” (1652) (http://www.rembrandtpainting.net/rmbrdnt_selected_etchings/christ_preaching.htm).